Back in 2009, PSP game Half-Minute Hero dazzled players with thirty-second bursts of gameplay and old school graphics. There is a sequel, out this August in Japan on the PSP. 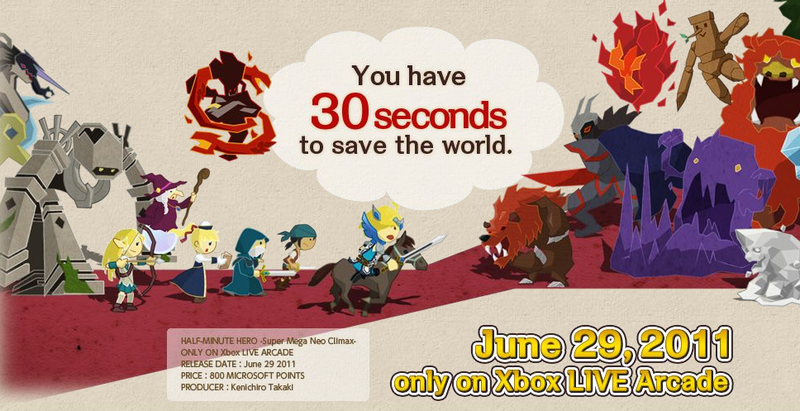 But don't fret console gamers, Half-Minuter Hero is coming to Xbox Live. The game is called Half-Minute Hero: Super Mega Neo Climax and will be available on Xbox Live Arcade on June 29 for 800 Microsoft Points.